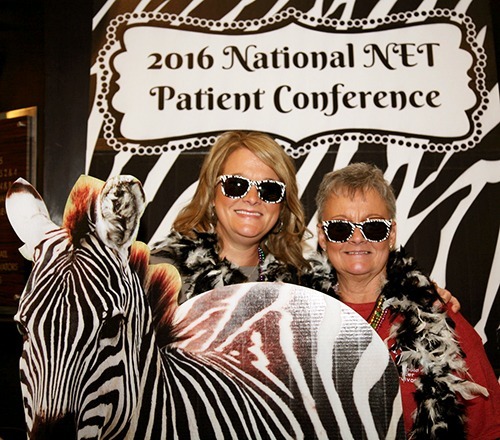 Five Reasons to Attend a Neuroendocrine Cancer Patient Conference! Educational opportunities. No matter how experienced you are about handling your disease, everyone can learn. Being treated for a rare cancer can often be isolating, and without exposure to a variety of points of view, we can miss new ideas and trends that can impact our futures. The educational aspect of a conference can expose you to new treatment regimens and therapies and help you discover how to be a more productive advocate for your treatment and care. Networking with peers. Patient conferences provide a great opportunity to network. Often patients and caregivers from different regions of the country can become valuable resources for referrals and best-practices. Avoiding your peers for whatever reason you have can actually limit you own success in fighting neuroendocrine cancer. You will find that the people who come together at a conference can help each other uncover ideas and spark inspiration when they get to know each other on a personal level. Encounter the vendors & suppliers who provide the therapies you need. Too often people shy away from exhibitors at conferences. They fear they will have to talk to salespeople, but these industry suppliers are some of the best people for you to get to know if you want to learn more about the current direction of treatment. Discovering innovative products and services for your business is critical to your treatment and care in today’s fast-paced world. Invest time with the sponsors at the event and turn them into your friends and allies. Position yourself as an expert. It has been suggested that well over half the requests by neuroendocrine cancer patients to their physicians for specific treatments are honored. A neuroendocrine cancer patient conference is the perfect opportunity to build your knowledge and become a better advocate for your health! You will hear directly from experts. Save your life by making sure you know enough to participate in your care so you are getting the best treatment plan possible. Have fun. Being a neuroendocrine cancer patient or caregiver is hard work and it is stressful. All work and no play can get old fast. Patient conferences can add a layer of enjoyment to managing your disease by mixing a social aspect into your patient journey. Taking an extra day at the beginning or end of the trip to explore or visit friends in the region is also a great way to maximize the investment in travel. Never underestimate the power of a little fun mixed with some interesting people! The internet won’t replace the conference experience. Many falsely believe that since they can now access industry information via the internet that the days of the live meeting are gone. The truth is, meetings are more important than ever. The value in meetings comes from the human-to-human connections that occur. Often people cite the serendipidous “hallway-conversations” that they have with other attendees as the most valuable parts of attending an event. While these are not on the agenda, or mentioned in the learning objectives, when two or more people begin to discuss topics on a deeper and personal level, the success of the event to those involved becomes irreplaceable. It is the people that bring the ROI to your time at a conference. NCAN has upcoming conferences scheduled for 2018. Why not make it your business to attend at least one of them? Your ticket for the: Five Reasons to Attend a Neuroendocrine Cancer Patient Conference!